Over the last few years Blogging has opened new ways to earn money and the most effective and long lasting of them is the affiliate marketing. You just need to set up a blog, work on it decently for two or three months and your blog can be a real money spinner. I am a full time blogger and around 70% of my online income comes from affiliate marketing. From the very beginning i.e. since I started blogging, my website has been monetized. What I have observed is that not all affiliate programs are same and work well for you. It was not very less often that I painstakingly wrote about a product, investing a good amount of hard work and my time but in turn I got nothing. All that hard work and time went up in smoke. In other words, the affiliate program of that product did not earn me anything. Fortunately now I have a list of some products which for many years I have promoted and earned thousands of dollars per month. The thing is that these products are not only very reliable and useful but also reasonably priced. I write in general on web design, WordPress and gadgets, so obviously I promote these things and stuff like that. If you write on some different subject, I would advise you to promote the products related to that subject. Or else, you may fail to elicit the desired results. So here first I am going to say a few things about some selected products related to blogging which may help you earn a lot of money without demanding donkey work on your part. Before going into details, first of all, I would like you to know a few things about affiliate marketing. As a rule, you should select only good products which are really useful to people. For example, you write on a product which promises to give you a huge profit but on the other hand, the product you are promoting is of no or little use. Your readers take your word for it and buy it. But once a person persuaded by your website use a product you are promoting, his trust will be broken and he will never visit your website again. A positive review of a bad product is cutting off the nose to spite the face. You should not concentrate only on the pros of a good product but also should shine light on its cons also. When you select a product for review and you know that product is really a good one and purpose-serving, even then, you should avoid being a bard singing only good things about the product and overlooking negative points about the product. Rather you should unfalteringly enumerate whatever faults and drawbacks the product has. Because that’s what constitutes a trusted review. In doing so, you can earn visitors’ trust and the chances of conversion go up also. For good measure, you can buy the product before reviewing it. A first-hand review is always the best review. If you have used the product yourself, you will be fully familiar with every good and bad thing about the product and the review you write subsequently will reflect every single aspect of the product. So if you want to come up with a best review, just buy the product you are going to review and get a first-hand experience. Most online products and services offer free trial. This is yet another way to get a first-hand experience of a product or service, If you are tight on the budget. You can capitalize on the free trial offer to write a good review of a product. If a company doesn’t offer a free trial, you can ask the company and request for a free trial. Sometimes I send an email to a company to tell them that I want to review their product. I request for a free trial and not surprisingly they provide one. Whatever advantages a product has, of course you should elaborate them. But it does not mean that you would write paeans about it. Your review should be balanced. All the advantages and disadvantages should be lucidly and precisely delineated. It should not sound to a reader that your review is paid or you are getting a huge commission in turn. Your review should reflect your honesty and impartiality. It is better to disclose that you are an affiliate part with the product. Many people think that you are reviewing only to get a commission and as soon as they spot an affiliate link in the review, their hunch is confirmed and they dismiss your review. But if you write an affiliate disclosure at the end of the review, it will reassure your readers. It is best to write honestly in the affiliate disclosure that you are an affiliate partner with the product and if the reader buys the product using the link, it would benefit you. Avoid writing articles that contain affiliate links on a regular basis. As a blogger, you should not write only on the products which have affiliate links because it may make your readers feel disinterested and bored. Your blog should be a platform where other than reviews of products with affiliate links, there should also be helpful tutorials and non-affiliate reviews. It will make your blog a neutral, helpful and useful website. A product comparison section always draws readers’ interest. When you review a product, make sure your review has a comparison section also where the product in question is compared with its other competitors. It will be an interest booster and problem-solver for a prospective buyer as a buyer is almost always confused among two or three products with similar looking qualities. Besides, it will not just help the reader settle on one product, but also a comparison between similar products shows that you have written the review after extensive research. If your review has a ‘the pros and cons section’ just at the beginning of the review, carefully telling about advantages and disadvantages of the product in a to-the-point manner, readers will not only be impressed by your honesty but also it will make them sure that you are not doing this review only for a commission. After taking a look at the pros and cons, the reader will for sure will try to find and read in your review those specific points about the product in which he is more interested. Do not behave like a robot. While reviewing, avoid being overly formal and droning in the drab language about merits and demerits of the product. Instead, your reader should feel that you are connected with him. Similarly while maintaining the overall impartiality of the review, your views should also at the same time shrewdly be squeezed in and if possible your opinions should be potent enough to sway the mind of the reader. So these were some exclusive tips on successful affiliate marketing. Now let me introduce to you those affiliate programs which I have been using and if you write on them, they can help you earn a sizeable amount of money even at the beginning of your blogging career. Guys, Elegant Themes is the biggest name that makes WordPress themes. It’s a well-known name with a resounding success. Elegant themes whose owner is Nick Roach has been rolling out state-of-the-art themes and plugins for the last 7-8 years. Its subscribers are over 30,000 (including me). Elegant themes is one of few companies which promise their customers to provide lifetime support and updates (though only for select plans). Anyone related to WordPress and web design can buy easily. Its Divi builder is a marvellous plugin and you can design your website very easily with Divi builder plugin. Formidable Forms is a powerful form builder plugin. Along with the form building, it comes up with an innovative feature which helps you display any data submitted via form on frontend pages. 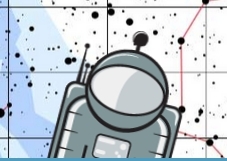 Moreover you can filter that data also. It may sound surprising yet it is 100% true. With Formidable Forms’ affiliate program, you can earn thousands of dollars because it is so helpful that everyone who has anything to do with web design and web development wants to have it. I have been promoting Formidable Forms for the past 5 years and it has the highest sales-to-click ratio. A2 hosting is a reliable host and for my own blogs I use A2 Hosting. It is a fast and reliable host whose support is very alert, responsible and responsive. Lately A2 Hosting has emerged as the strongest alternative to Hostgator. It has all the qualities which make it a reliable host and can for all practical purposes be promoted as an alternative to Hostgator. Of all the web hostings, A2 Hosting earns me the greatest chunk of my affiliate commission. Toolset like Formidable Pro is a WordPress plugin kit which lets you display your content on frontend as you see fit and can also filter the content through parametric search. On the whole, Toolset is an outstanding tool with which you can design websites without requiring prior knowledge of coding on your part. Toolset provides the lifetime updates and support (With select licenses) and it is the main reason that web designers make a beeline for it. I am an active customer and affiliate of Toolset. For being an affiliate of Toolset, first you have to create a free account on Toolset and then apply for an affiliate program. Gravity Forms is one of the most powerful form builder plugin and boasts worldwide millions of users. 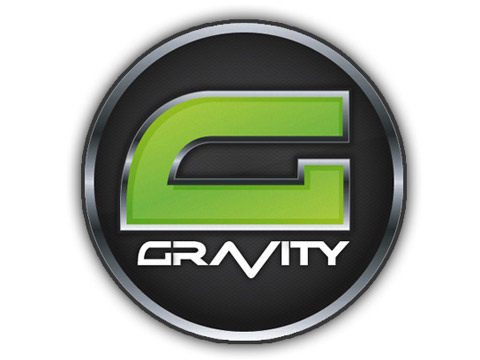 I am an affiliate partner with and a user of Gravity Forms. My income from the affiliate programs of Gravity Forms is around $300-$400. 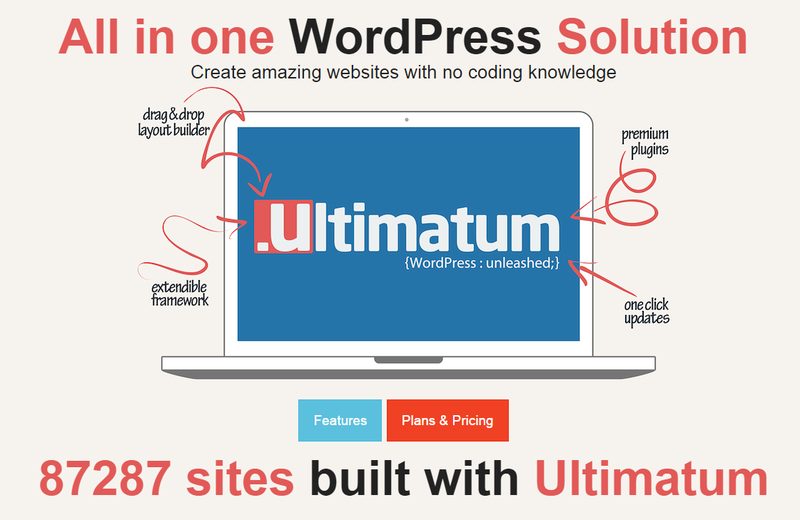 Ultimatum Theme is a complete layout builder theme which allows you to build any type of custom webpage. Ultimatum Theme comes with a vast array of customization options which help you create not only any desired layout but also you can style a layout in many ways. I have been using the affiliate program of Ultimatum theme for a long time and for the last four years have been an active user of Ultimatum Theme. I have built many websites using Ultimatum Theme.Ultimatum Theme is one of the most liked themes and is a favorite one for many, which ultimately helps you earn a good amount of money. GravityView is a paid add-on of Gravity Forms, which allows you to display Gravity Forms’ entries on the frontend or edit and search them. GravityView plugin is in high demand and offers a better chance to earn money through its affiliate program. Dokan is a multi-vendor marketplace builder WordPress plugin that works with WooCommerce. Dokan seems to be a powerful multi-seller website builder plugin and is preferred by people who plan to start a low budget marketplace website. So, if you write on WordPress and related things, you should at least give Dokan a go because it has a good sales-to-clicks ratio and if you become an affiliate partner with it, you have a real chance to lay hands on money. StudioPress stands out when it comes to WordPress themes and themes from this company are used by professionals on a large scale. The theme framework from StudioPress is known as Genesis. Genesis framework is recognized as a SEO optimized theme framework and its code has a reputation for being clean and compact. And it is the reason that it is widely used by famous bloggers for their blogs even if StudioPress themes are simple. On account of the popularity of StudioPress, its affiliate programs works well. phpFox is, I think, is the most powerful php script for social networking websites. A person with just mediocre knowledge of hosting and domain can set up a masterpiece of social networking website like Facebook with the help of this exceptionally excellent script. phpFox has a clear-cut edge over other social networking php software and if you promote it, I’d say it is a really a right horse to bet on. Sucuri is basically a website security provider company which provides website firewall and malware removal services. For the last few months, I have used Sucuri to secure my websites. This service protects your website from being hacked and removes malware from already hacked websites. Sucuri affiliate program is very effective and it starts yielding commissions very soon. Dashlane and LastPass are vault services for passwords and payments which keep your passwords and payment details safe. If you are a subscriber to these services, you for sure get around the hassle of remembering passwords and filling them in. These services are very popular and used by a large chunk of techno-world. 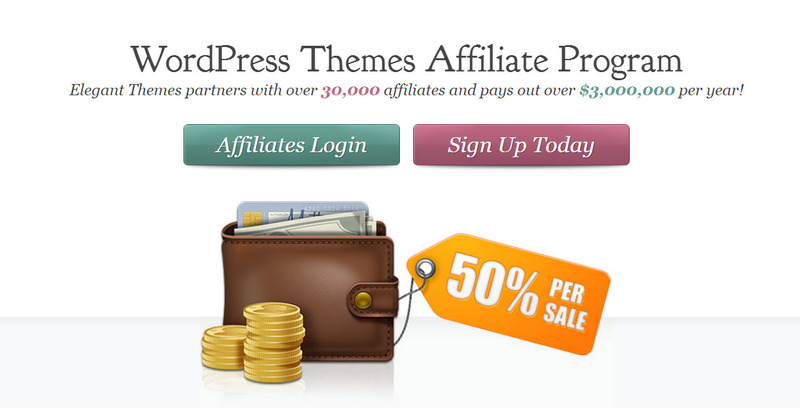 Both of these services offer affiliate programs.